Sorry for the long quiet period, but I have been busy in the world of work. 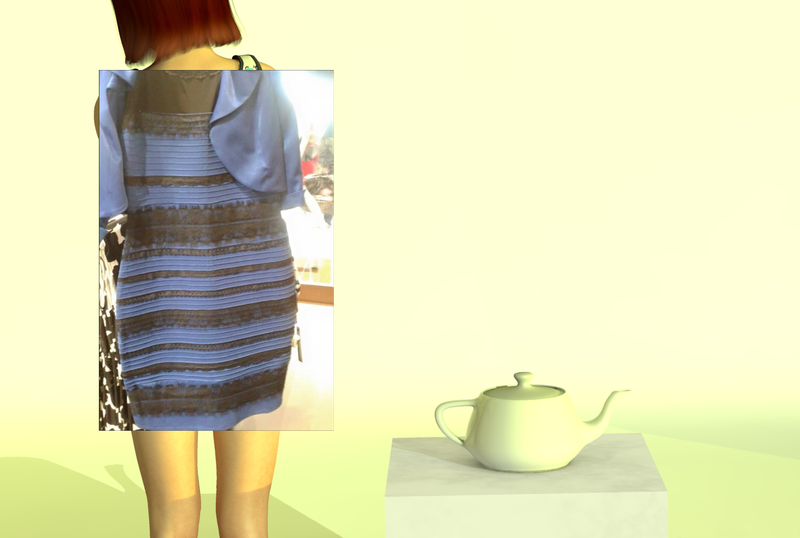 Recently there was some fuss about the picture of the dress that different people perceive in different colours. I am sure you have seen it. Admittedly this has nothing to do with the connection of mathematics and physics, the topic of this blog. Still I thought it was pretty cool. The picture of the dress has another interesting property. The pictures of the stripes are inverses of each other. I saw a yellow and white dress (at first). Inverting the picture to its colour negative gives a white and yellow dress. This entry was posted in Uncategorized on 07/03/2015 by xentwtww.